Nicole Kidman makes a rogue police detective into a tragic figure in Destroyer. 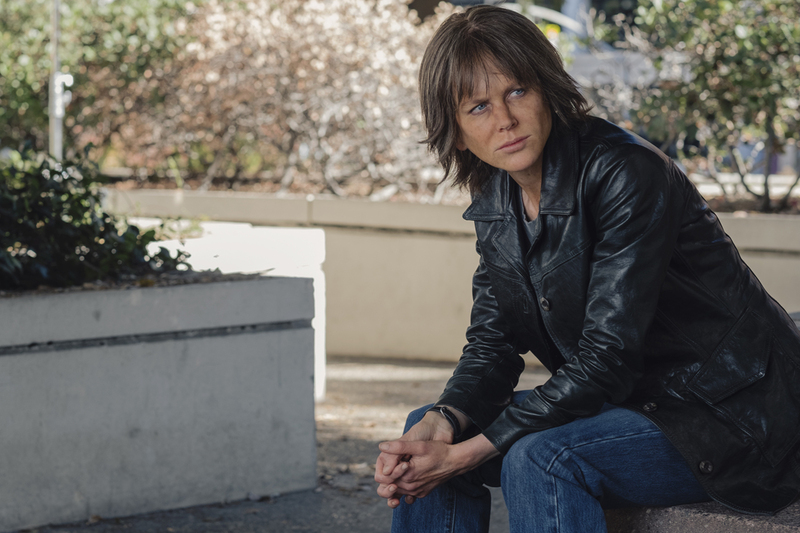 Nicole Kidman investigates one last L.A. homicide in Destroyer. Movies so often depict loose-cannon cops as heroes, men (it’s always men) who work for the law but happily ignore it to leave the villains behind bars or dead in the street. Destroyer is a departure, less for making this character into a woman than for depicting her as a wrecking ball rather than a hero, someone who leaves a trail of dead criminals, dead cops, and dead civilians in her wake and remains grimly focused on the bad guy to the exclusion of all else. 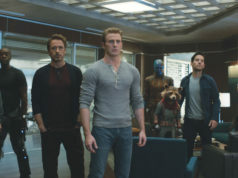 The film isn’t quite as earth-shaking as it wants to be, but it’s worth a look as it opens in Tarrant County this weekend. Nicole Kidman plays Erin Bell, an LAPD homicide detective who’s so skeletal and sun-damaged that a terminally ill informant tells her, “Wow, you look old.” When she stumbles drunkenly onto a murder scene by a viaduct, the corpse’s tattoos and some dye-stained $100 bills force her to confront the original sin of her policing career: Years ago, she and a fellow cop (Sebastian Stan) went undercover to infiltrate a gang of bank robbers, only to betray both the police and the gang leader Silas (Toby Kebbell) so they could take the money for themselves. The plot went sideways without her police colleagues ever finding out, but now Silas is out of prison and wiping out the remnants of his former gang. Erin moves to silence him, and a whole lot of unsuspecting Angelenos will be hurt just for being in the way. This is the latest in the ill-starred career of director Karyn Kusama. Since her breakout debut in 2000 with Girlfight, she keeps making good-to-excellent films that don’t reach the audience that they should. Her one major studio movie, Æon Flux, was by many accounts butchered in the editing room by executives, her delightful teen horror flick Jennifer’s Body was mis-marketed to a male audience, and her chilling 2016 suspense exercise The Invitation is currently buried at Netflix. In this movie, she pulls off some crackling action sequences, including a great one where Erin’s unauthorized recon on Silas’ ex-girlfriend (Tatiana Maslany) turns into a bank robbery, shootout, and car chase culminating in a brutal hand-to-hand fight in an artisanal bakery. At the center of it all is Kidman projecting Erin’s awareness of how she’s inflicted damage on everyone around her, including her ex-husband (McCabe Slye) and her teenage daughter (Jade Pettyjohn). If writers Matt Manfredi and Phil Hay — the latter is the director’s husband — had done a bit more to sharpen Erin’s encounters with the secondary characters, this tragic portrait of an officer whose rogue ways rebound on herself might have carried more weight. As it is, however, Destroyer does take some well-worn tropes and make them new. Starring Nicole Kidman and Sebastian Stan. Directed by Karyn Kusama. Written by Phil Hay and Matt Manfredi. Rated R.